Most credit Ray Budde, a University of Massachusetts educator, with first introducing the idea of charter schools. He published a paper titled, “Education by Charter” in 1974. The paper didn’t receive any attention so he set it aside. In 1988 many people were grappling with education reform after the publication of “A Nation At Risk.” Budde resubmitted his paper for publication and this time it received attention from one of the most out-spoken and flamboyant educators of the time, Albert Shanker. Shanker was the union president of the American Federation of Teachers. He began pushing the idea of charter schools in 1988. Shanker’s concept (borrowed from Budde) was that a different type of school was needed for the hard-to-reach students. He envisioned small schools, governed by a “charter” with the local school district and teachers’ union, which could experiment with new teaching techniques. These innovative teachers would share successful techniques with their colleagues within the district. Minnesota was the first state to authorize charter schools in 1991, with California following the next year. Shanker’s support for charter schools abruptly ended in 1993 when the Baltimore School District awarded a private, for-profit company called Education Alternatives, Inc. a contract for nine charter schools. The company did not raise test scores as promised, had troubled finances, and worst of all (in Shanker’s eyes) fired unionized support staff and then replaced them with cheaper non-union employees. Shanker became an opponent of some charter schools, like the one in Michigan which was organized in 1994 for home-schoolers. The students learned at home with state-provided computers, using a curriculum that included creationism. The charter school had gained its foothold in the small, debt-ridden community by providing a $40,000 kickback. Since then forty-three states have passed legislation authorizing charter schools. As of 2012 there were six-thousand charter schools serving about two-million students (4% of the total K-12 enrollment). 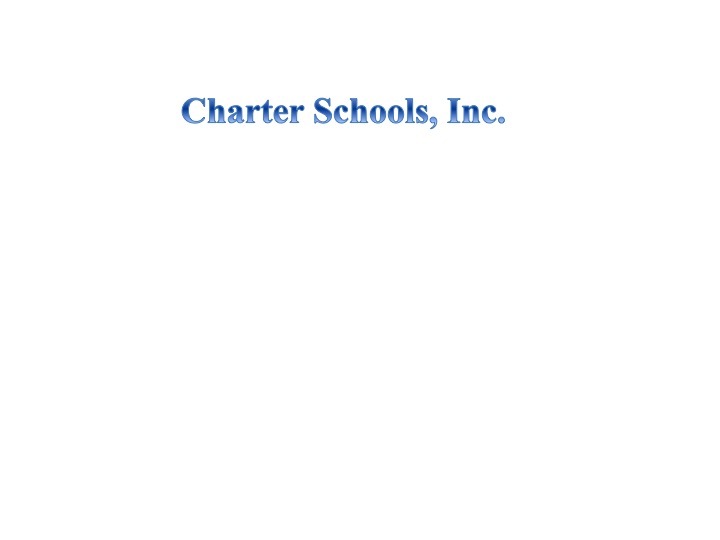 Charter schools are authorized by a variety of entities. In 2012, 39% were authorized by local school districts, 28% by state boards of education, 12% by State Commissions, with the rest by universities, cities, and other means. The federal government, through the Department of Education, has been actively promoting charter schools for years. President Bush’s No Child Left Behind (2000) encouraged parents to consider enrolling their student in a charter as one of their “school choice” options. President Obama’s Department of Education upped the ante in 2009 with his Race To The Top program. In order to be eligible for some of its $4.35 billion in funding, states had to ease limits on charter schools. At first glance, none of this looks too ominous. However the seeds of the past are coming to fruition – charter schools are now forming first and foremost to make money; they are draining funds away from public schools; they reduce school choice; and they take away our right to educate America’s students. More on each of these topics in subsequent posts. Diane Ravitch’s excellent book Reign of Error (2013) was a source of some of the information presented above.